Check out today’s post written for Ask God Today Ministries for the “Mighty God and Broken Faithful” devotional series. I began asking God what our first baby boy’s name should be. He took me to this powerful passage about the prophet Samuel. When I read the words at the beginning of Chapter 3, I got chills. Little did I know I’d be calling my Samuel over and over again to no avail. Sometimes, that stinker completely tunes out the sound of my voice and runs in the opposite direction. But not the Samuel of the scriptures. No—when he heard God’s voice call his name, he “tuned in” and presented himself as a ready servant. Samuel was born to Hannah, a woman whose womb had been “closed by the Lord.” But that didn’t stop Hannah from asking, no—begging God to give her a child. The peak of Hannah’s angst played out as she made a complete spectacle of herself—“pouring out her soul” to God in prayer. (Yes, there were people watching—her husband even thought she was drunk.) Hannah promised to give the child back by devoting him to God’s service. Samuel’s name, which means “asked of God” or ”heard by God,” was a memorial to the prayer God answered. Hannah asked God for Samuel and was heard. Yet God’s plans for Samuel’s life reached far beyond merely providing a barren woman with a bundle of joy. Click here and pop over to Ask God Today where this post originally appeared! 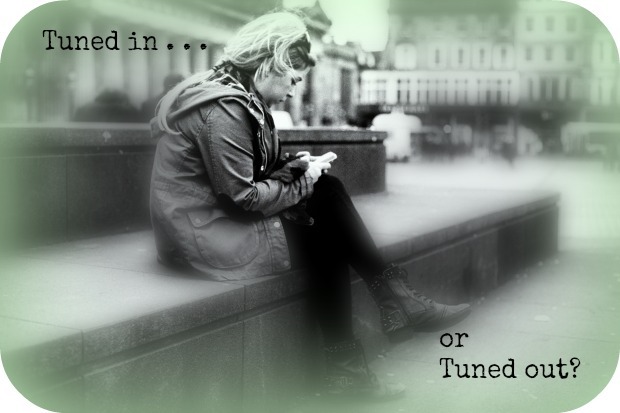 Hi Christy, this is an awesome post to make you ask yourself a such an important question, “Are you tuned in properly to God?” I often ask myself and pray that my radar will be on the proper frequency of the Spirit, as it’s so many things that cause for competition in my time with God regretfully. I welcome the reminder that pushes me toward proper alignment with Him. Thanks Christy! And I love the name of your blog by the way, LOL! God bless and may your frequency forever be on the proper channel with the Spirit of God and He use your gift mightily! #RaRaLinkup – nice linking up with you!! !